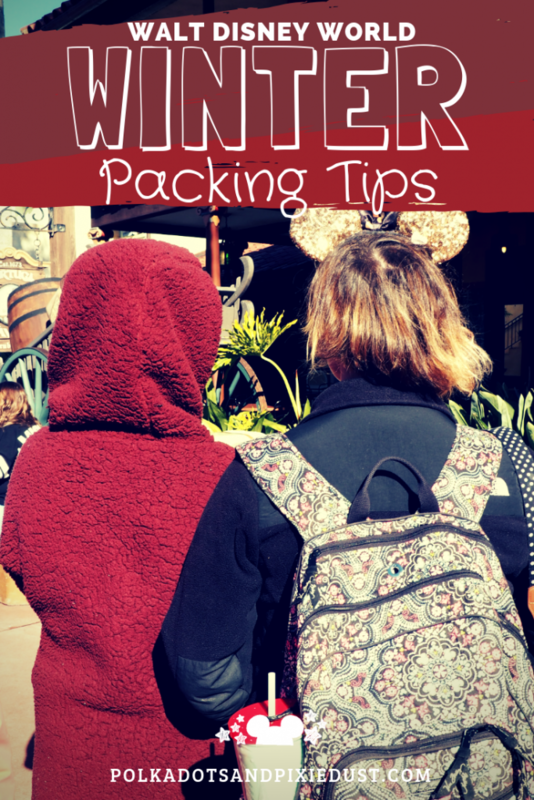 Heading to Walt Disney World during the winter and not sure what to pack? After having traveled to Walt Disney World during the coldest months of the year, we have quickly learned some of the best items to pack to keep you comfy, cozy and still looking cute!So let’s get started, shall we?Winter is actually probably one of our favorite seasons at Walt Disney World because not only is it a season of lower crowds, but also has some of the best weather in our opinions. Not having to fight with humidity and 90+ degree temps is always preferred for us, so if it means we need to put in a bit more effort in our packing, then so be it. What is the weather like at Walt Disney World in the winter? Let’s start by understanding what you can expect from winter weather at Walt Disney World. It’s easy to assume, hey its Florida, it’ll be warm! But then you’d be wrong and end up either freezing because you’re too stubborn to buy the $70 jacket on Main Street or cave and buy that $70 jacket on Main Street. On the other hand, you could assume its going to be cold the entire time and not pack anything for when it does start to warm up. As we know too well, sweating unnecessarily in Disney is really not fun or very magical and should be avoided if possible. One thing that’s important to understand about winter in Florida is that the temperatures can really be all over the place and sometimes it really can be pretty warm during the day and then freezing at night. Your best friend in this case? Layers, my darlings. 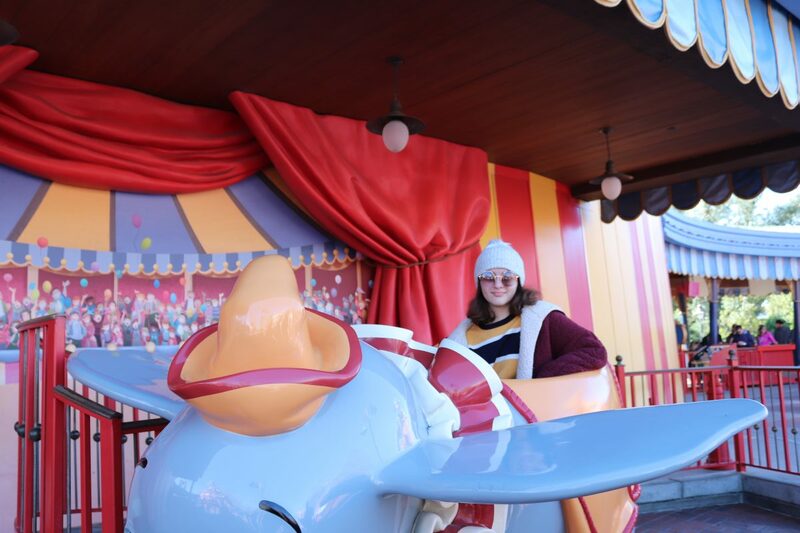 What should I pack for winter at Walt Disney World? Well if you’ve been paying attention, layers are a great place to start! 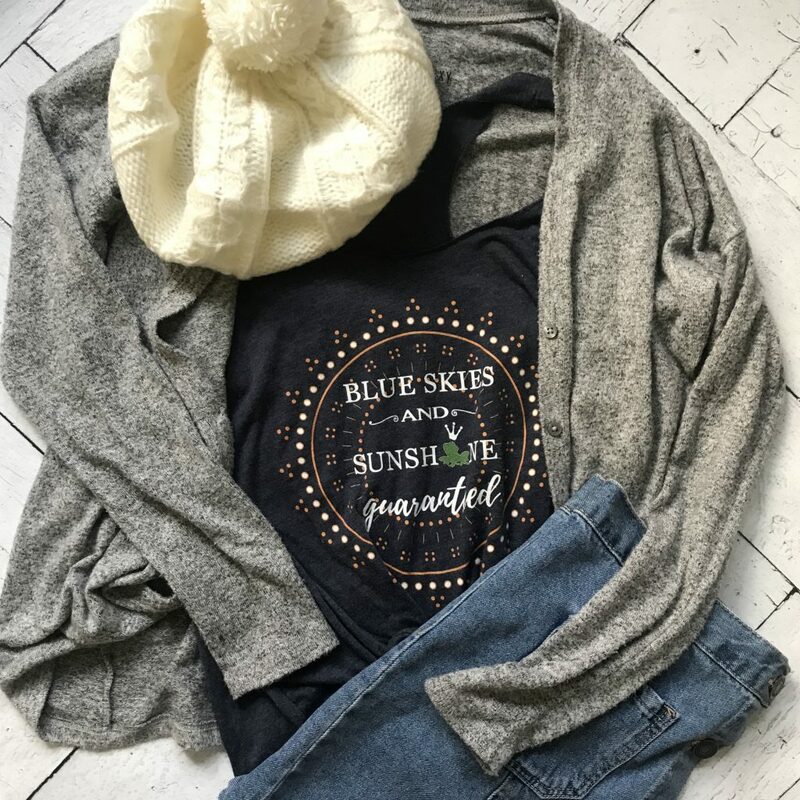 You will most likely want to pack a few t-shirts or short sleeve shirts for during the day when it warms up, and either a few sweatshirts, a denim jacket or flannels that you can tie around your waist(or throw in your park bag) for when it cools down in the afternoon and evening. 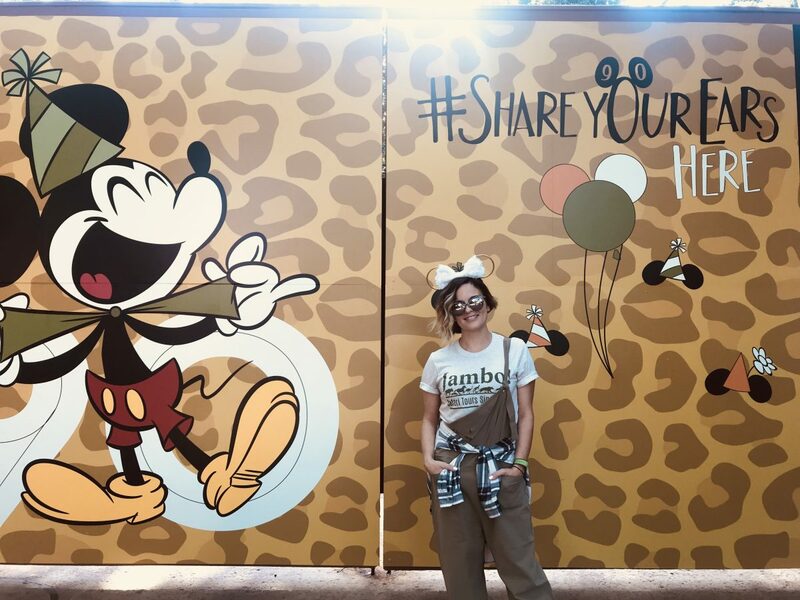 Winter at Disney is generally not the best time to plan to wear shorts, although if you tend to be a little on the warmer side, you can always pack a pair just to be on the safe side. We found that jeans, overalls or jumpsuits and lined tights were enough to keep us warm even when the temps dropped at night. Be sure to check the weather beforehand to see if your trip dates will require you to have a jacket. You’ll most likely need one at night(we’ve seen temps in the 30s during all of our winter trips) and the ones available for purchase in the Parks are very expensive. We love something super packable like these or something full on fluffy and fun. As much as we all love Mickey ears, we actually found on this last trip that we really needed a winter hat. 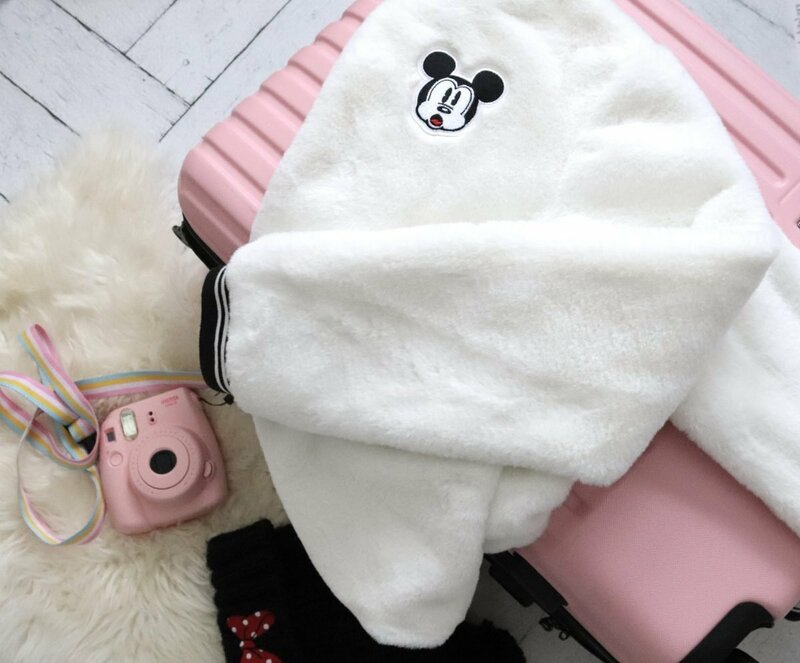 Luckily, there are a lot of adorable options for Disney inspired headwear that will keep your head warm and still allow you to show your Disney side. And as always, remember that you are indeed traveling to central Florida and rain is never out of the question. You’ll want to make sure you have ponchos available in your park bag just in case. Being cold is one thing, but being cold and drenched from the rain is an entirely different situation that I’m not sure even we can help you with. Ok, so what did we miss? 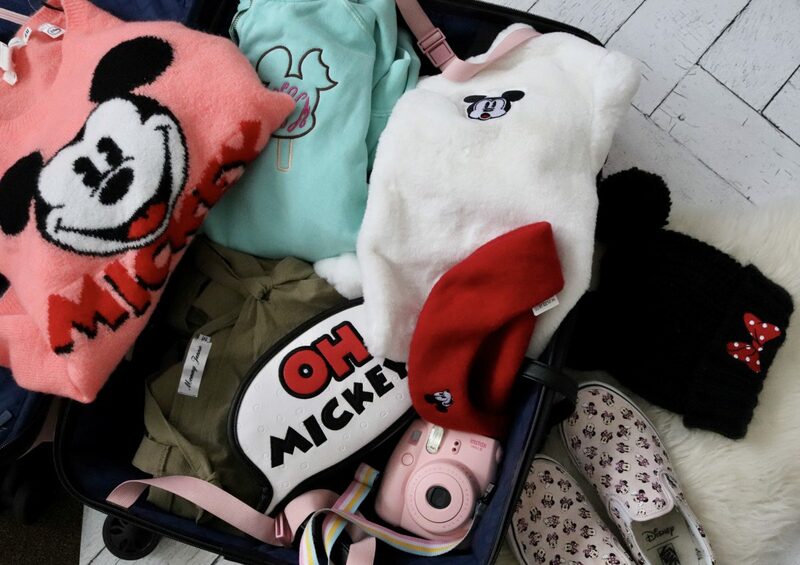 We’d love to hear what you pack for Walt Disney World in the winter and let us know if you have a favorite something you like to bring when Disney is a bit too cold for anything else!